It's the time of year when we think about giving thoughtful gifts to those we care about. Let's be honest: it's also the time of year when the temptation to indulge in sugary treats is everywhere. 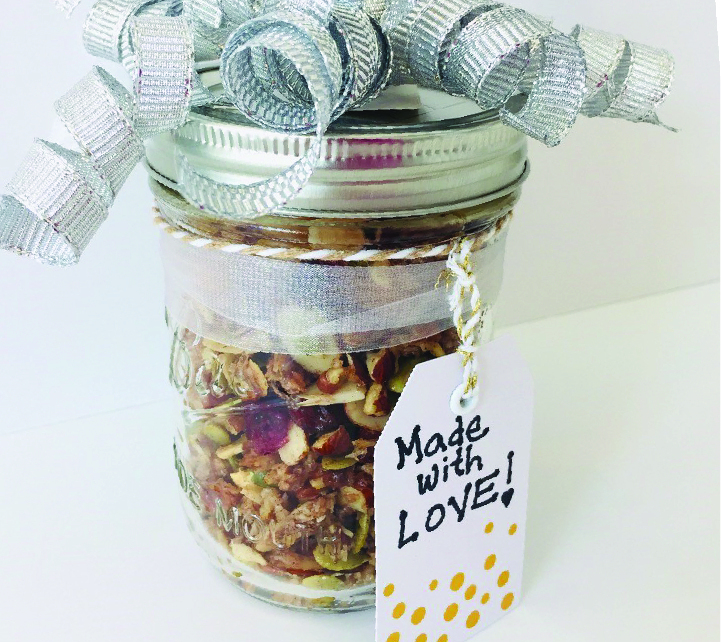 Have you thought about offering the gift of a healthy treat as an alternative? 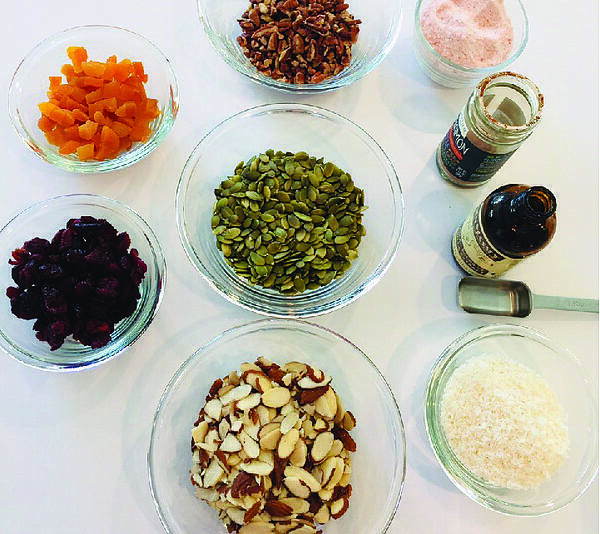 Nutritional therapist Stacey Maedge shares a delicious and nutritious recipe for homemade granola with us today. 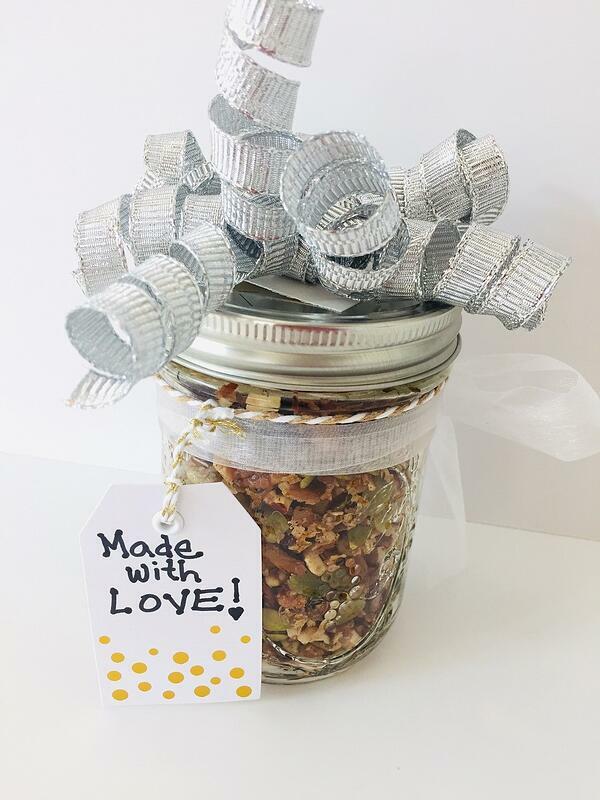 It's a delicious breakfast option, healthy snack, or you can package it up to share with neighbors, teachers, and friends this holiday season. 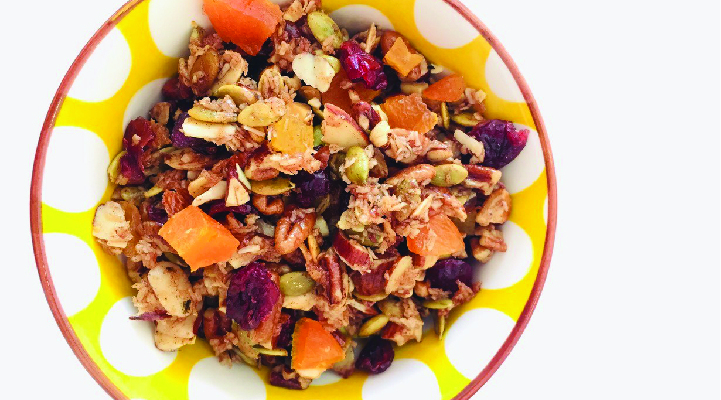 Watch the video to see how easy it is to make this granola, then check out the recipe below. Add all ingredients to a large microwavable bowl, except the fruit. Mix well. If the honey is thick, heat up in the microwave for about 30 seconds and mix well. Place on a baking sheet (use parchment paper for easy clean up). Bake for about 20-25 minutes, stirring occasionally to help it not burn. When you pull it out of the oven, mix in dried fruit. Let cool. Consume!! Even eat it with some almond milk or coconut milk.